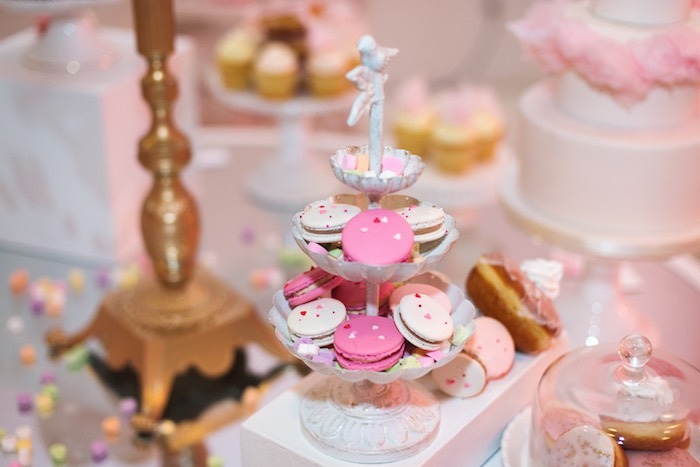 Are you in charge of planning the next corporate event hosted by your company? 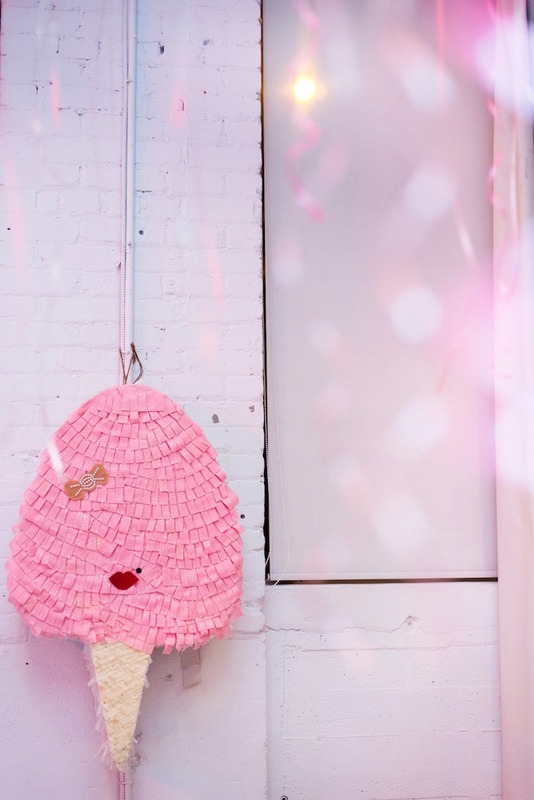 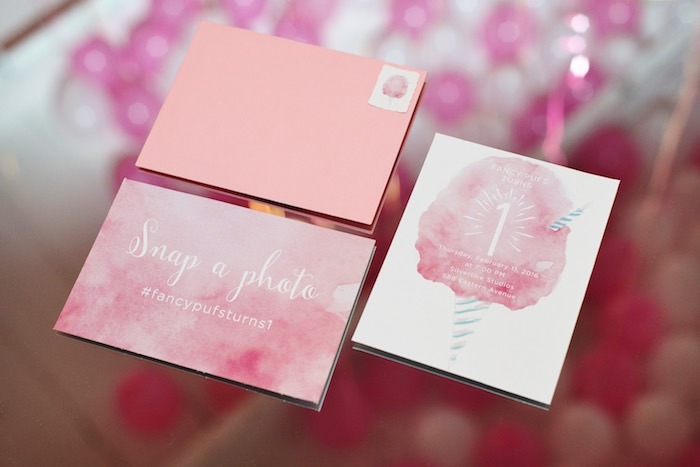 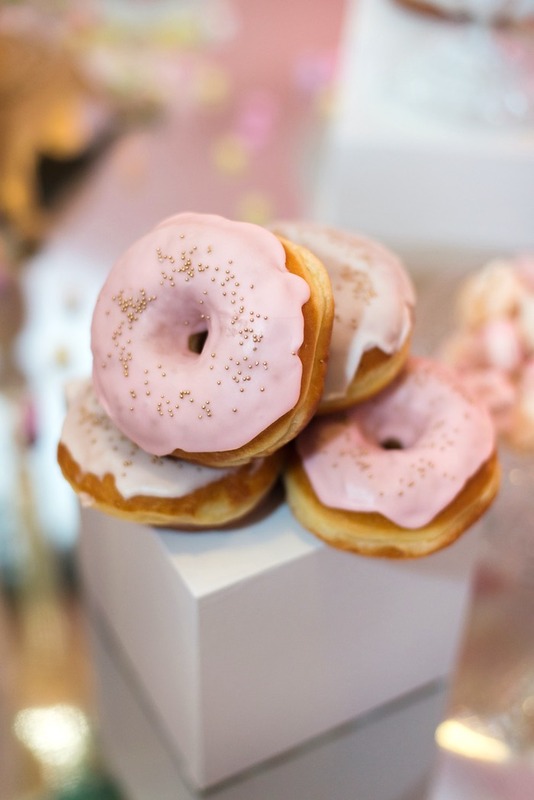 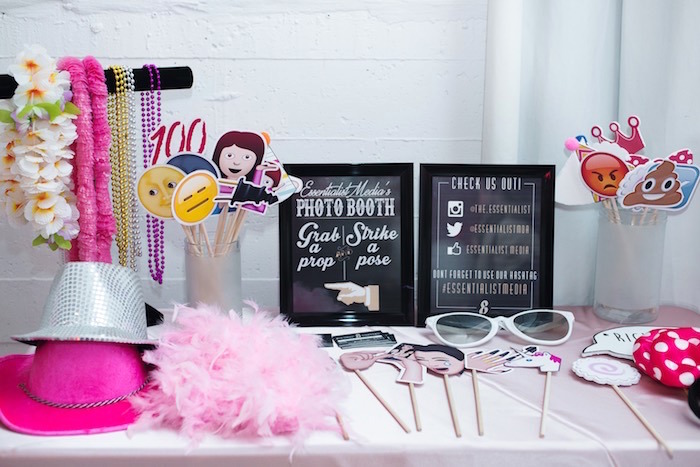 If so, then look no further because this Pink Glam Corporate Birthday Party submitted by Michelle Digirolamo of Fancy Pufs out of Toronto, Ontario, Canada is full of fabulous ideas that could be used for your upcoming party! 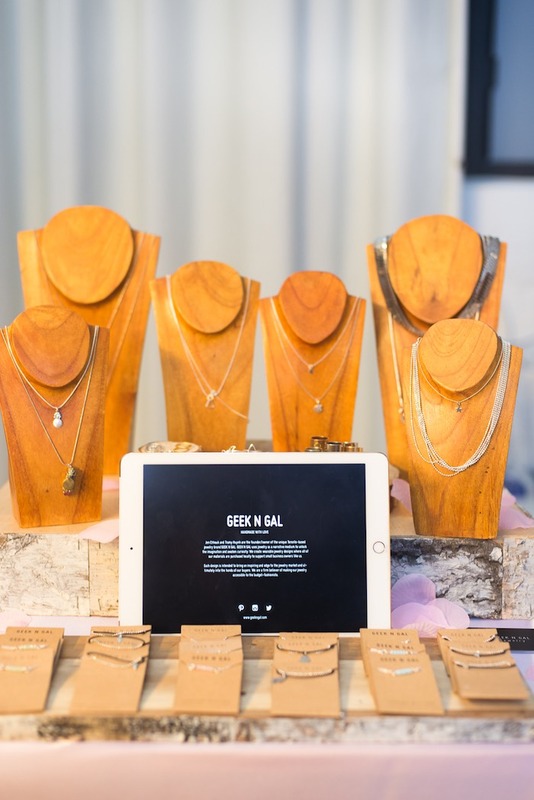 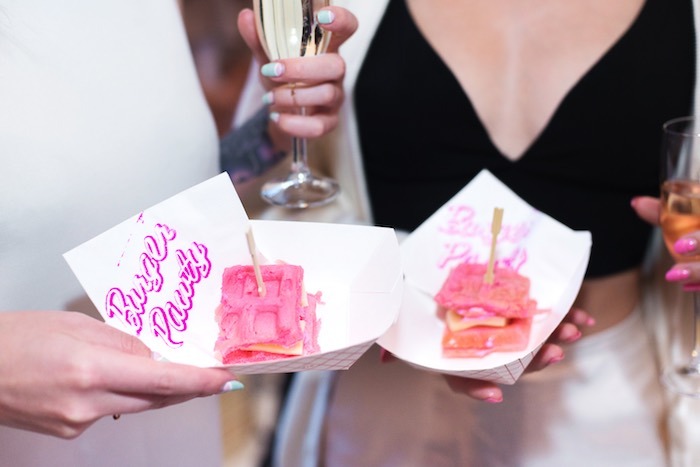 Complete with hand picked vendors selected for a fun pop-up shop and savory sweets to to gush over, this party is full of ideas that will help you plan one top-notch occasion! 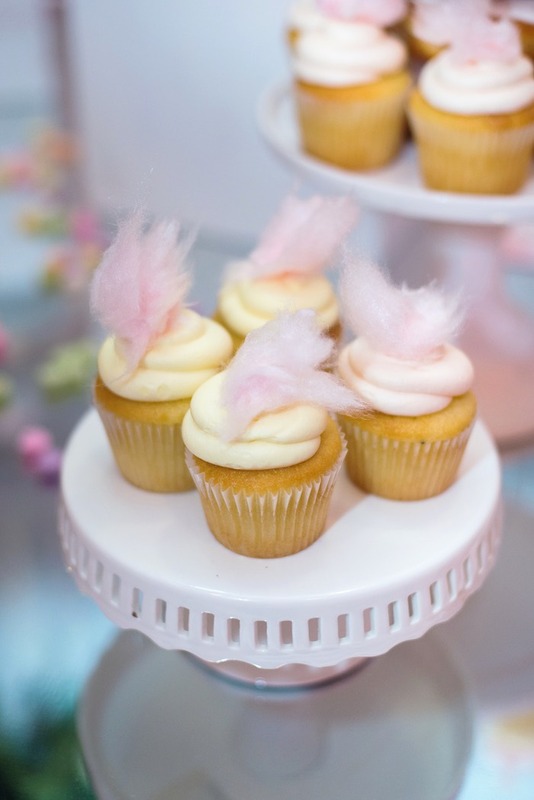 This is what Michelle said about the party- “Recently we had a memorable night for Fancy Pufs. 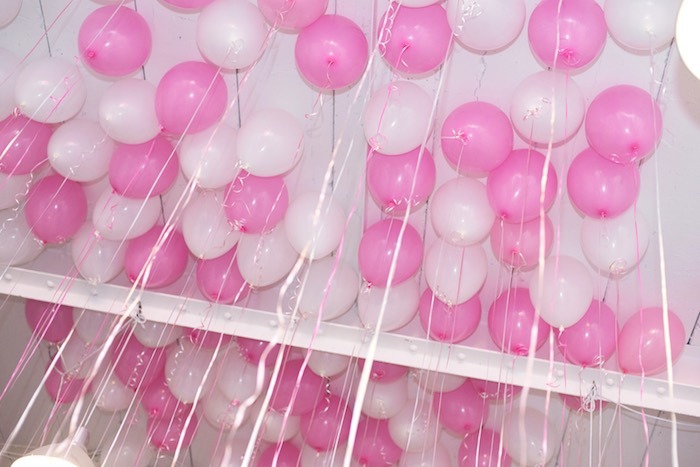 After one year of being in business, we wanted to show our gratitude and appreciation to everyone who made this year such a success. 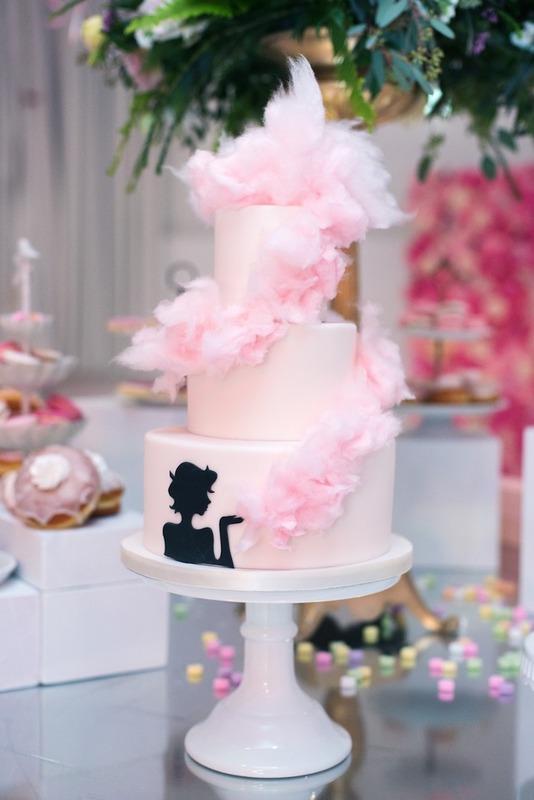 We wanted to make this celebration all things pink and sweet, resonating with everything that the Fancy Pufs brand stands for. 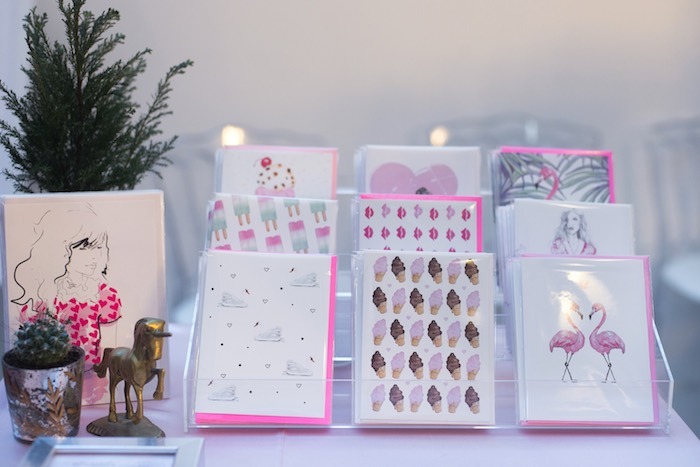 Our ingredient of edge was all in the location. 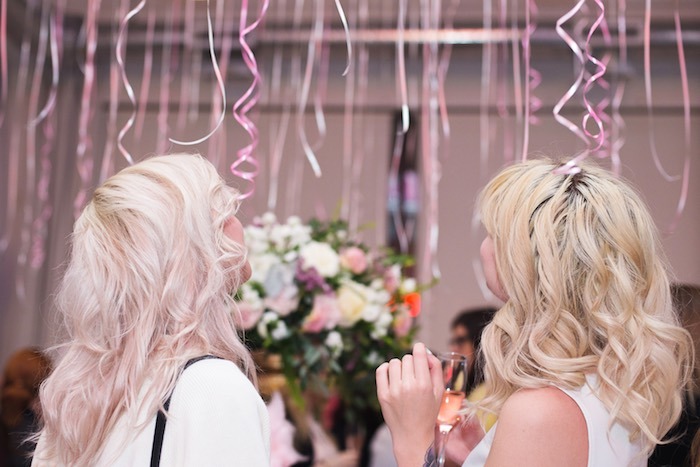 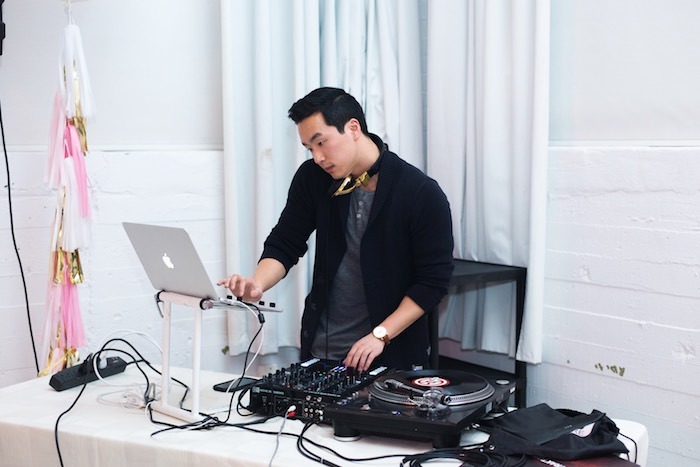 Set in an old industrial building in Downtown Toronto, Fancy Pufs first birthday took place at Silverline Studios with an all-white interior. 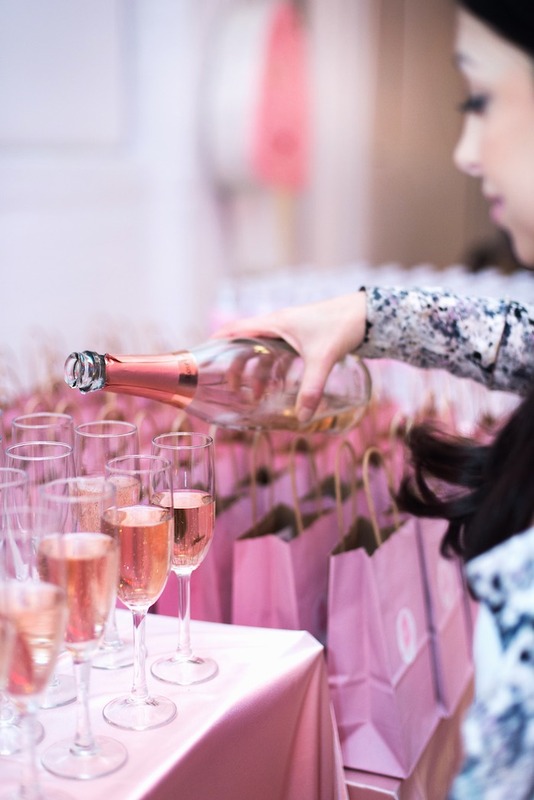 This gave us the carte blanche that allowed us to make our pink vision a reality. 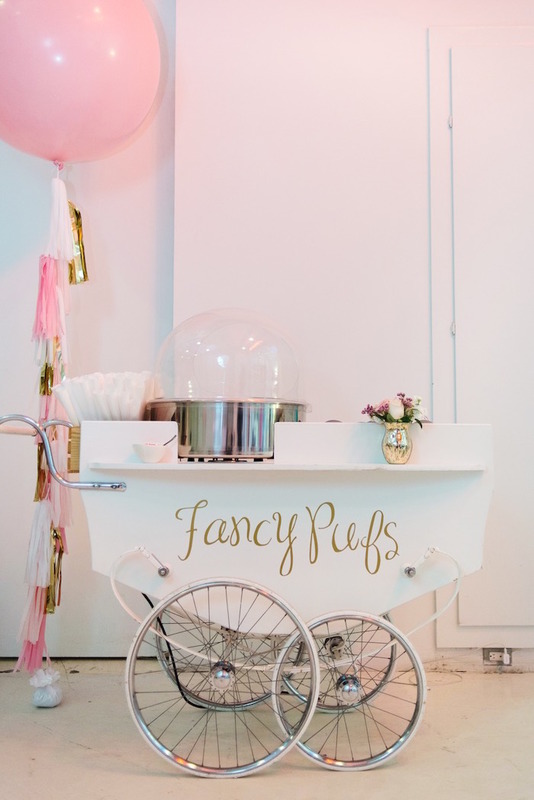 Fancy Pufs first birthday was complete with pink, white and gold accents both in décor and food and the prettiest balloons painting the ceiling. 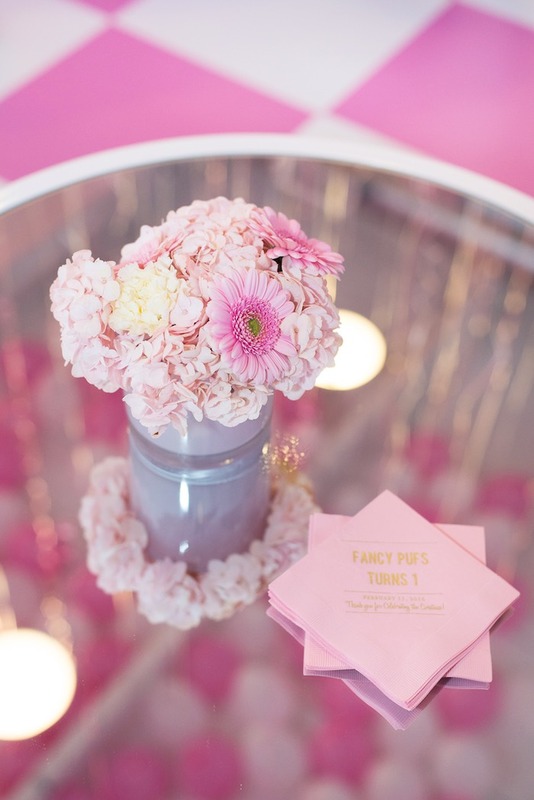 Upon arrival, champagne awaited our guests. 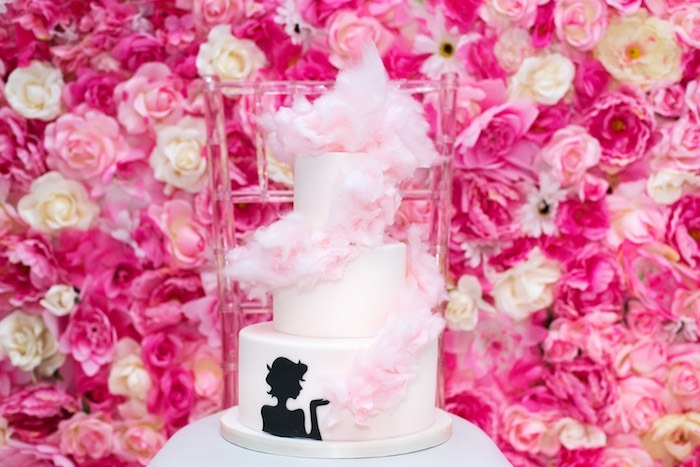 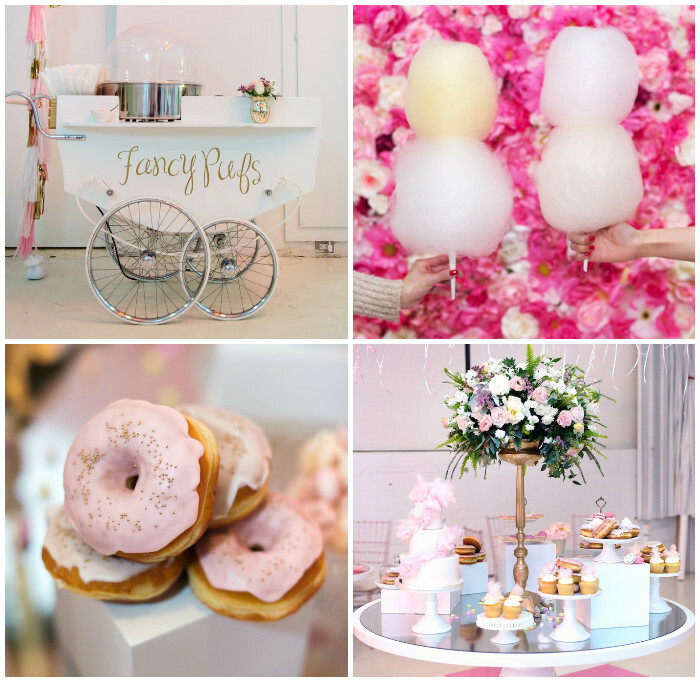 As our main focal point, we presented various sweets including cupcakes, macarons, scrumptious donuts, handcrafted cookies and our three-tier vanilla birthday cake topped with organic bubble gum cotton candy in the centre of the room. 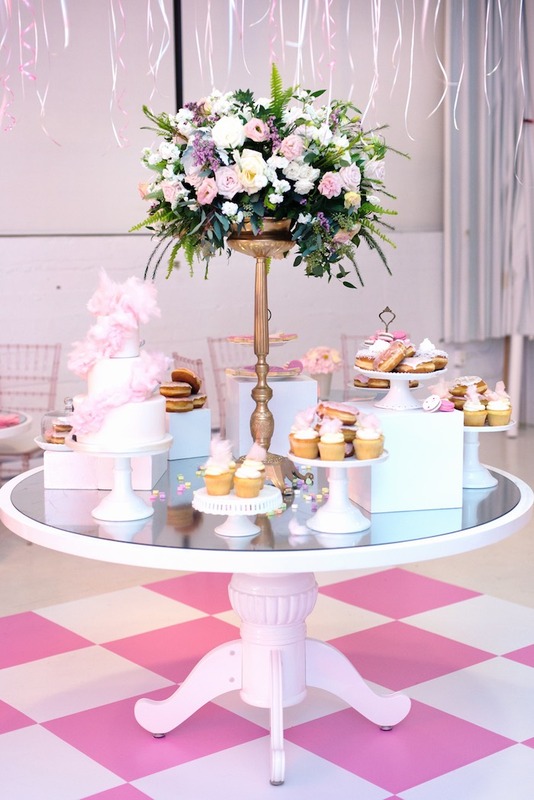 Alongside this dessert table was our white Fancy Pufs cart, spinning fresh cotton candy and filling the room with our signature cotton candy aroma from some of our favorite flavors. 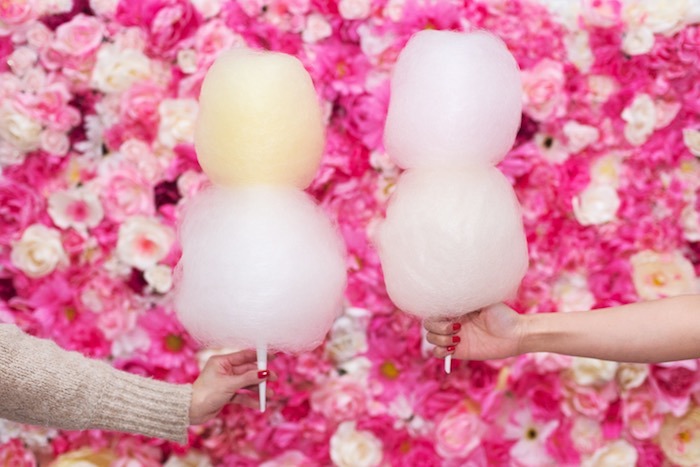 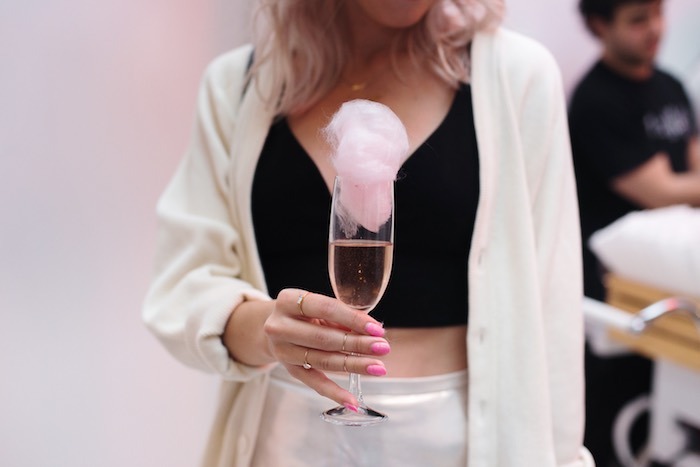 With cotton candy in hand, guests made their way into a separate area that featured the Fancy Pufs Valentines Day Pop Up with hand selected local vendors. 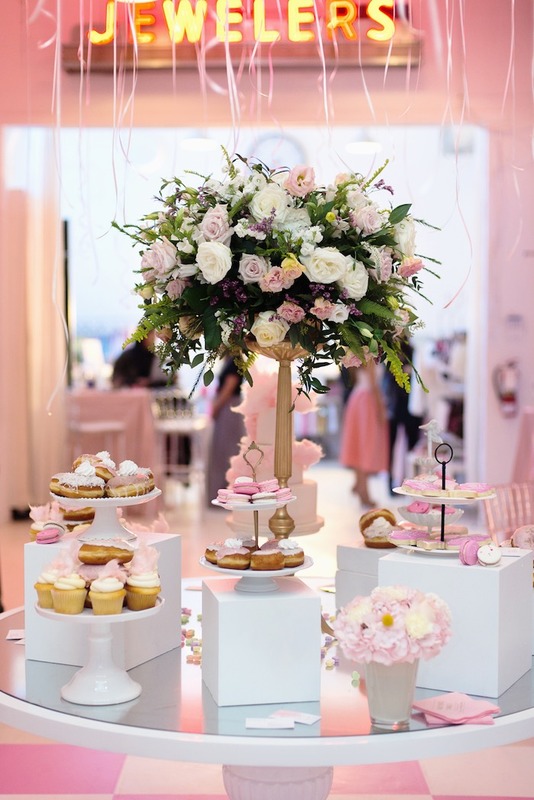 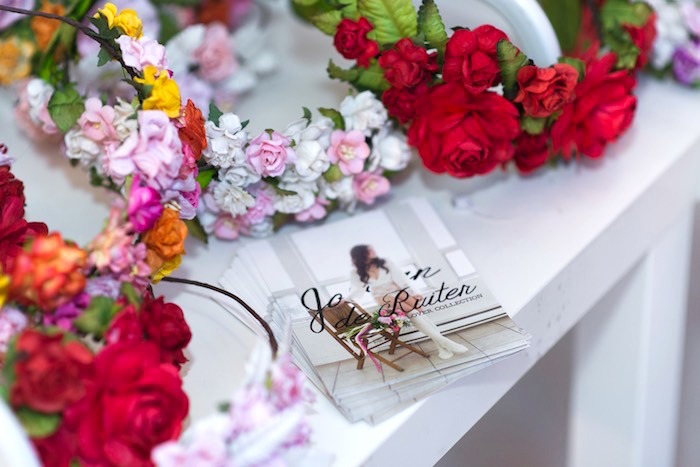 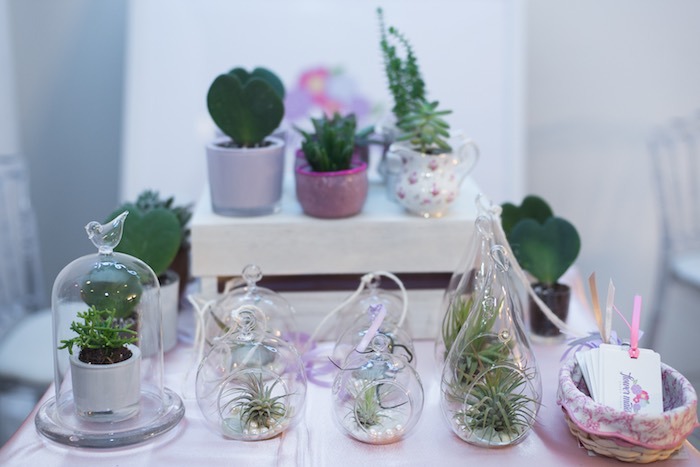 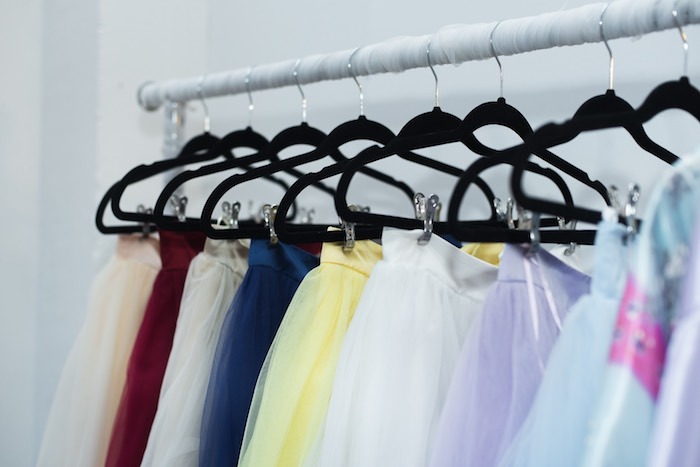 From lingerie, Valentines day cards, floral bouquets and keepsake plants to jewelry, pastel tulle skirts and floral crowns, our vendors offered up all of the essentials to make this Valentines Day extra special.